Dennis brings over 20 years of finance and accounting experience in both public accounting and private industry. His public accounting experience at Arthur Andersen and Elko Fischer McCabe & Rudman included audit, tax and consulting engagements with companies ranging from small- to medium-sized private businesses to large public companies. 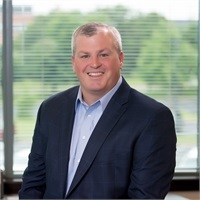 In the private sector, Dennis spent over 15 years at a $6 billion industrial gas company, including leadership roles in internal audit, as CFO of a $500 million subsidiary and as Director of Corporate Development. Most recently, he led the financial integration and SAP implementation related to a $13 billion global merger. Dennis is a Certified Public Accountant and holds a BS in accounting from the University of Scranton and an MBA from LaSalle University.